I hate to be that person but how is it October already? Madness! I’m actually quite excited for the colder months to start. I was born in January so naturally I’m a winter baby. Give me layers and hot chocolate over sun and sand any day! (It also doesn’t help that my eyes are super sensitive to light so I wear sunglasses all year round!) And let’s face it, the closer we get to Christmas, the better! This will be the first year since forever that I am out of education so no revising for me over the Christmas break. However, I did fail my final Masters project but I do have three months to complete it in again. Hopefully, if I can get organised, I can complete it before Christmas so I can relax over the festive period! Since I no longer work in retail and have an office job, I get the entire Christmas/New Year period off work. Hooray! A whole week and a bit to myself so I plan on relaxing as much as possible, eating all of the Christmas chocolate and plonking myself on the sofa in front of the telly for the duration of my break. I mean I might make some social plans but I’m a hermit pretty much all the time. Back to this month! I have exciting plans for October. I’m thrilled to be doing Blogtober and I really want to make it stick this time. I’ve never completed a full month blog challenge before so I really want to practise before we get to Blogmas! 1. Read 4 books. I’ve been upping my reading game this year, so much so that I’ve probably read more in 2018 than I have since before I started uni back in 2012! I think I got bored of it because reading for uni is completely different from reading for fun! Don’t get me wrong, I’m not getting back into it by reading War and Peace. Instead I’m easing myself by reading chick lit by my fave authors, Lindsey Kelk and Paige Toon! 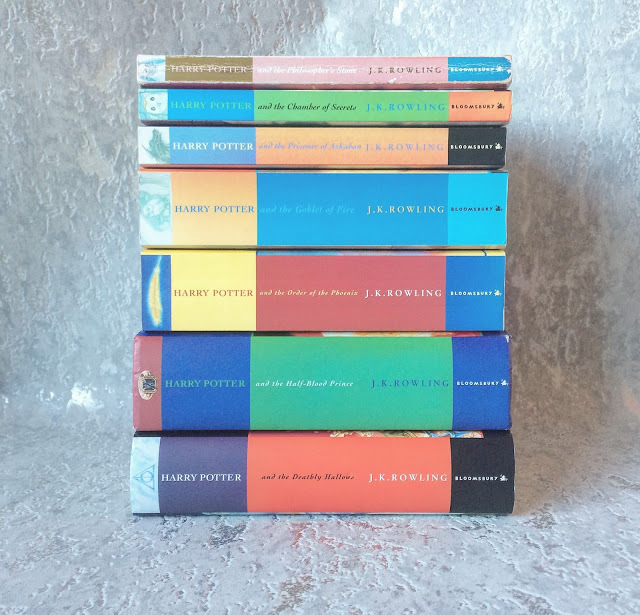 Lindsey’s I Heart series is up there with Harry Potter as my favourite book series! 2. 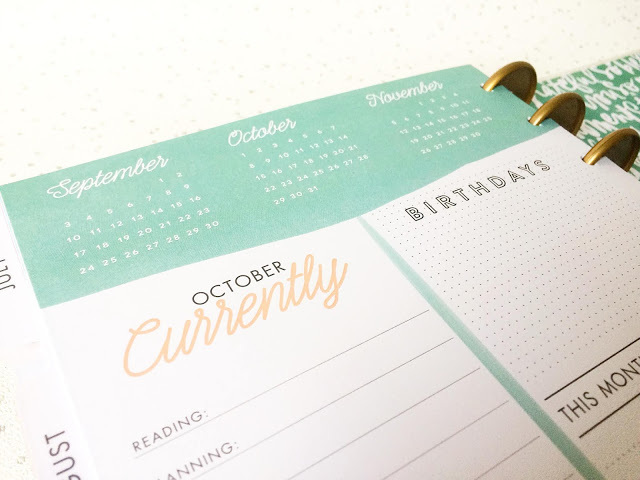 Stay on top of Blogtober! Easier said than done, I know! Because I only started to prep a few days before Blogtober actually started, I’m not sure how successful I’ll be! Bulk taking photos and scheduling Tweets is looking like the best way for me to keep on top of things! 3. Start and complete my fitness plan for the month and start meditating every day. Since starting my desk job in August, I’ve not put on any weight but I’ve noticed how out of breath I get from my ten minute walk from the bus stop to the office. I never ever used to be this unfit so I’d really like to get back into some sort of shape! I’ve decided to go back to Tone It Up and complete their #TIU31 challenge through October. I’d also like to start meditating either when I wake up or before I go to bed so I can feel focused or relaxed. 4. 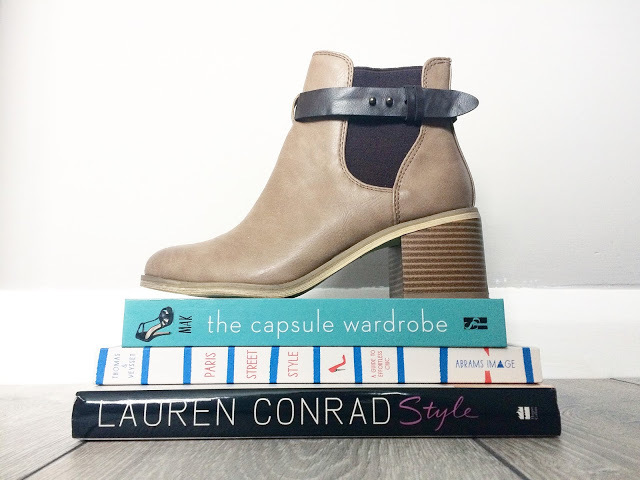 Create my autumn capsule wardrobe and stick with it for at least two months. Now I’ve tidied my wardrobes and have them set up how I want them, I can finally see what I actually have. I’m excited to get all my jumpers and long-sleeved tops out of storage and I will be adding in as many stripes as possible. I’m addicted! 5. Re-start my uni project. As I said earlier, I failed my final project due to lack of time/preparation/organisation and I rushed the end product. Now I have until mid-January to redo it, I want to get it out of the way before then. I’m going to see how much I can squeeze in during this month as it is a lot of writing, interviewing and filming that I need to get through. I’m not sure how much of it I will be able to fit in around working full-time so this month is my trial month for that. 6. Keep on top of all of my freelance work. Now I have more free time, I’ve been taking up more freelance jobs. I’ve just started as a resident blogger for a clothing company, I can start my rugby league writing up again and I’ve started up my weekly Strictly column once again. I’ve got a couple of guest slots on a couple of blogs over Christmas and I’d love to start contributing to other blogs and websites where I can. The idea is to build up a portfolio to hopefully go self-employed/freelance permanently! 7. Connect with other bloggers more and comment on more blogs! I’ve felt very disconnected from the blogging community in recent months. Part of that is because of my lack of posting but also because of the daily goings-on that seem to happen on social media. However, quality content should always be appreciated and shared and I want to do more of this. Sharing my favourite posts by my fave bloggers and making sure to leave comments is the perfect place to start! 8. Update my health diary daily (food + fitness). In the past couple of weeks, I’ve been on tablets for a mild condition and one of the suggestions was to keep a food diary to see what triggers my pain. I want this to continue on from when my round of tablets finish but I also want to include all health and fitness-related aspects. I only seem to update my Fitbit app once a week but I need to start doing it daily! 9. Keep a track of my spending! Since I started working full-time, I have saved a big chunk of money but those cheeky ASOS orders once a week are starting to add up. Even though I send most of what I order back, it can take a while for the refunds to process. From now until Christmas, I want to stop buying so much stuff online. The odd book or box set is okay but I don’t need any more make-up. When it comes to clothes, I have a couple of items on my wishlist but I will only purchase in-store for the time being. 10. Create a media kit and start pitching to brands. Once I get my blog back in order, I want to start building on the momentum. The media kit task has been on my list for about 3 years but I’ve still never got round to doing it! Once I have this set up, I can then have this to pitch to brands. It will all count towards my full-time freelancer dream! Now I know most of these goals are pretty bog-standard but for me, organisation is always the key for my happiness. There’s nothing I love more than ticking things off a to-do list and having a well filled-in diary. Less procrastinating, more doing! What are your goals this month? Leave me a comment below!